Here is our monthly roundup of some of the best smartphones launched in July 2017. The month July 2017 started off with a big battery smartphone in the form of Asus Zenfone 4 Max (ZC554KL). It is also the first smartphone launched under the ZenFone 4 moniker. The company’s Zenfone Max series is known for its big battery smartphones and ZenFone 4 Max stands up to that principle thanks to a massive 5,000mAh battery under the hood. It was announced in Russia RUB 13,900 which converts roughly at Rs 15,000. (Read more). Another big battery phone arrived in India from a standalone Chinese brand called Nubia. The company expanded its portfolio by announcing a new mid-range phone dubbed Nubia N2 (first impressions), and it should go without saying, its selling point is again a massive 5,000mAh battery. Nubia N2 is retailing in India at the price of Rs 15,999 and has what it takes to compete with the likes of Xiaomi Redmi Note 4 (Review) and Lenovo P2. (Read more). South Korean giant Samsung announced a new mid-range smartphone in its existing J-series: Samsung Galaxy J5 Pro. It was announced in Thailand for a price of 9900 Baht which converts roughly Rs 18,800. It runs Android Nougat out of the box with the company’s custom flavour running on top. The device offers 4G VoLTE and NFC which is usually present on all Samsung’s mid-range and flagship smartphones. (Read More). Huawei sub-brand Honor announced Honor 8 Pro to compete with the likes of OnePlus 5 (Review), thanks to its additional storage expandability up to 128GB over to 128GB onboard storage. The device houses a dual rear camera unit supporting Autofocus and LED flash, similar to recently unveiled Honor 9 and last year’s Honor 8 (Review). Honor 8 Pro comes at the price of Rs 29,999. (Read more). Vivo announced two new phones handsets in China. The phones in question are Vivo X9s and X9s Plus, and both of them boast of a dual-selfie camera up front similar to Vivo V5 Plus (Review). The Vivo X9s and X9s Plus are priced at 2,698 yuan and 2,998 yuan, which translates roughly at Rs 25,670 and Rs 28,534 respectively. (Read more). Soon after launching Nubia N2 in India, the company announced its second dual camera smartphone dubbed Nubia M2 at Rs 22,999. In addition to a dual rear camera setup much like Nubia Z17 Mini (Review), Nubia M2 flaunts a 16-megapixel front-facing camera, making it a selfie-focused smartphone. (Read More). A Flipkart-exclusive Samsung Galaxy On Max was announced in India this month at the price of Rs 16,900. The major selling points are an all-metal unibody design, Samsung Pay Mini and the social camera. Samsung Galaxy On Max comes with a 5.7-inch Full HD screen in addition to Android Nougat based software out of the box. (Read more). LG did not only announce one or two but three smaller variants of its flagship G6. The smartphones in question are LG Q6, Q6 Plus and the Q6a. The trio of devices gets its grunt from the mid-range Snapdragon 435 processor. What we found disappointing is the fact that all three phones come without a fingerprint scanner. (Read more). Lenovo-owned Motorola announced Moto E4 Plus, an elder counterpart of its budget E4 smartphone. The selling point, Moto E4 Plus packs a mammoth-sized 5,000mAh big battery. On the software front, the phone runs Android 7.1 Nougat out of the box. Moto E4 Plus is retailing exclusively on Flipkart at Rs 9,999. (Read more). Honor 6A, an affordable smartphone was announced in Europe as an addition to the company’s existing Honor 6X (Review) at EUR 169 (approximately Rs 12,497). Currently, the device is available in France and China. Concerning internals, the phone announced in Europe is somewhat different than its Chinese counterpart. (Read more). Asus ZenFone AR, the company’s first Daydream and Tango-enabled smartphone was launched in India at Rs 49,999. It is powered by a 64-bit quad-core Snapdragon 821 processor paired with Adreno 530 GPU. Asus ZenFone AR features three cameras that are clustered by Asus own TriCam system alongside OIS and 4K video recording support. (Read more). HTC expanded its Desire series with the launch of a new entry-level smartphone dubbed HTC Desire 555. It was announced the U.S. market in association with AT&T prepaid carrier and Cricket Wireless. HTC Desire has 2GB of RAM and 16GB of expandable storage, for $119 which converts roughly at Rs 7,700. (Read more). Homegrown smartphone maker Micromax announced the launch of Canvas 1, which falls under the affordable sub-Rs 10K price segment. Available at Rs 6,999, Micromax Canvas 1 boasts of a polycarbonate unibody measuring 8.3mm in thickness and weighing 150g. The phone has a front-facing LED flash for better results in darkness. (Read more). Panasonic P55 Max launched in India at Rs 8,999 which is likely to compete with Moto E4 Plus. The device packs a big 5,000mAh battery much like several other phones announced this month. However, the phone is powered by an entry-level MediaTek MT6737 SoC which runs Android Nougat-based software. (Read more). As the name suggests, Intex Aqua Selfie is a smartphone which is aimed at those looking to capture better selfies. The phone houses a front-facing LED flash, however, beside a 5-megapixel secondary shooter. The phone is retailing via offline channels across the country at the price of Rs 6,999. (Read more). Popular among masses, Xiaomi announced its first Mi-series device in India this year in the form of Xiaomi Mi Max 2. The device offers a metal unibody design, however, we were not impressed by its matte rear during our initial experience. It sports a massive 6.44-inch screen and 5,300mAh big battery. (Read more). Honor announced the Honor 9 Premium in Europe, which appears to be an upgraded variant of the company’s this year’s flagship Honor 9. The phone shows off a sleek unibody and packs a 3,200mAh battery under the hood. Retaining the dual rear camera setup, Honor 9 Premium is powered by the company’s Kirin 960 SoC. (Read more). LG Q8, a smaller variant of LG V20 was announced this month offering a 5.7-inch Quad HD screen alongside secondary screen and a dual rear camera arrangement. The camera features optical image stabilisation (OIS) and supports for 4K video recording at the cost of EUR 599.90, which translates approximately at Rs 50,064. (Read more). Intex also launched yet another phone under its Aqua lineup dubbed Aqua Lions 3. The phone offers 4G VoLTE for compatibility with Reliance Jio network and Android Nougat software out of the box. The phone packs a 4,000mAh battery and comes bundled with apps like Amazon Prime and SwiftKey. Intex Aqua Lions 3 is priced at Rs 6,999. (Read more). Samsung silently released a new phone called Galaxy J7 Nxt at Rs 11,490 in the Indian market. Available in Gold and Black colour variant, the smartphone can be purchased from Samsung’s official website and via offline channels across the country. The device boasts of compatibility with Gear Fit, Gear Fit 2, Gear 2 Neo, and Gear S3. (Read more). Mukesh Ambani-led Reliance Jio launched a new phone dubbed LYF C459 under the brand’s existing Wind series. The device can be purchased at all Reliance Digital outlets across India for Rs 4,699. The entry-level smartphone offers all the essential features and specifications like 4.5-inch FWVGA screen, 1GB of RAM, and 8GB of expandable storage. (Read more). Micromax sub-brand Yu Televentures announced Yu Yunique 2 for a price of Rs 5,999. The smartphone comes integrated with Truecaller as its default dialer app, which further offers users a seamless caller ID and spam detection feature. Yu Yunque 2 comes almost two years after its predecessor, running Android 7.0 Nougat out of the box. (Read more). Gionee expanded its line-up of A-series smartphones in India with Gionee A1 Plus. The device is powered by an Helio P25 octa-core SoC paired with 4GB of RAM and 64GB of expandable storage. The Gionee A1 Plus features dual rear cameras and Android Nougat and is retailing at the price of Rs 26,999. (Read more). The much-anticipated Moto Z2 Force made its way into the U.S. market at $799.99 converting roughly at Rs 54,540. The successor to last year’s Moto Z Force, the Moto Z2 Force has a shatterproof screen in addition to warranty in the event of cracking or shattering of display for four years. (Read more). Xiaomi’s second Mi-branded dual camera smartphone, Mi 5X, was announced this month alongside MIUI 9 and other products. The phone runs Qualcomm’s power-efficient Snapdragon 625 SoC and 4GB of RAM under the hood. The device comes at the price of CNY 1,499 which is estimated at Rs 14,200 if lands in India. (Read more). Intex’s yet another big battery phone of this month came under the moniker of Intex Aqua Power IV. Although powering the device is MediaTek’s entry-level MT6737 processor, it runs Android 7.0 Nougat operating system. Available in two Black and Gold colours, Intex Aqua Power IV comes at the price of Rs 5,499. (Read more). Meizu launched two new phones, Pro 7 and Pro 7 Plus, priced at $430 (approx. Rs 27,600) and $530 (Rs 34,010) respectively. Both the devices run the company’s own Flyme 6 custom skin installed over Google’s Android 7.0 Nougat operating system and feature a secondary display on the back panel. (Read more). Gionee’s new phone in the Chinese market was found listed on the official website amid numerous leaks, rumours, and speculations. The company’s most recent smartphone is retailing in their homeland at 1,299 which converts at approximately Rs 12,365 in the Indian currency. (Read more). 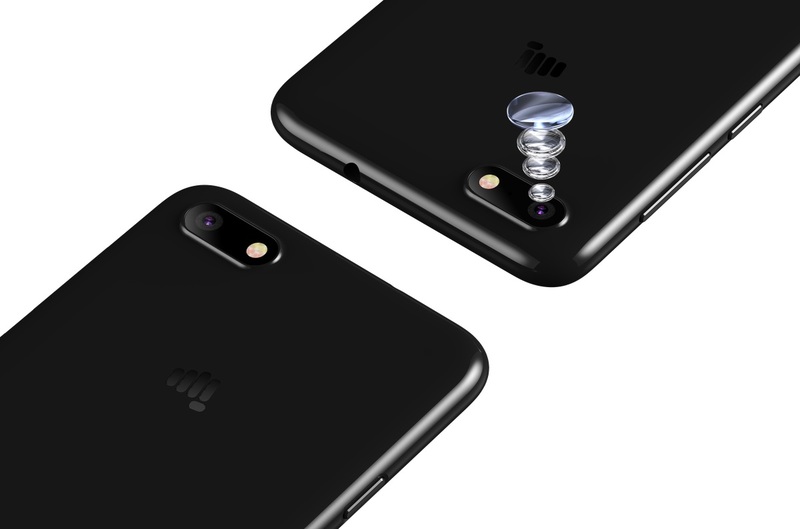 Rahul Sharma-led Indian smartphone company Micromax silently listed Micromax Selfie 2 on the company website. Although the price and availability are yet to announce, key features listed on the website include real time bokeh effect, one touch shot, and face beauty mode for selfies. (Read more). We must accept that fact that no other phone managed to hit as many headlines as Reliance JioPhone this month. Mukesh Ambani-led Reliance Jio announced its most-anticipated feature phone with much fanfare. It will be available for beta testing starting August 15 and pre-booking will begin starting August 24. (Read more). By looking at the list, you can figure out the number of big battery phones announced this month. Since July has come to an end, we are looking forward to what is coming up ahead in August. Stay tuned to Techook.com unless you want to miss what happens in the mobile industry with each passing day throughout a month.